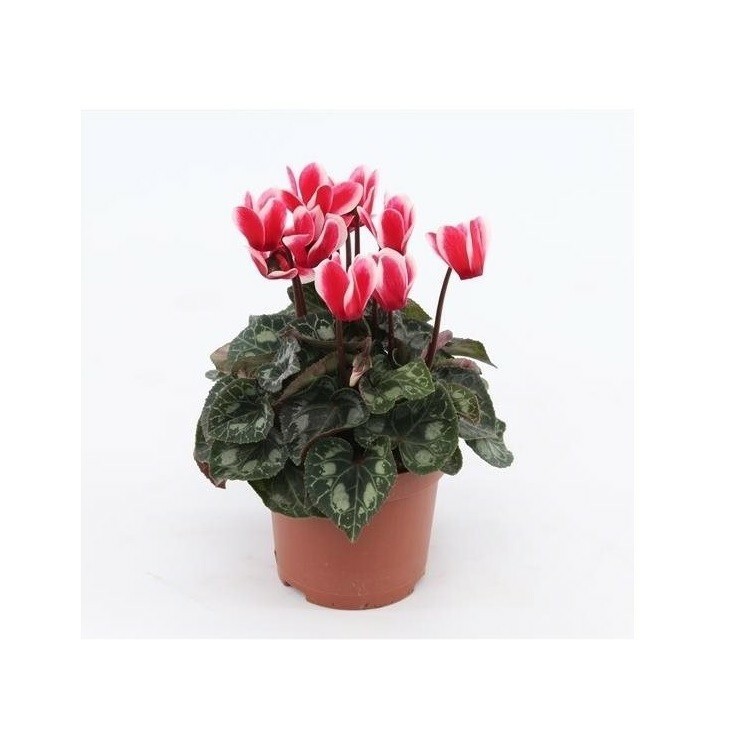 Cyclamen Picola Bicolour in Bud and Bloom as pictured, complete with white display pot. 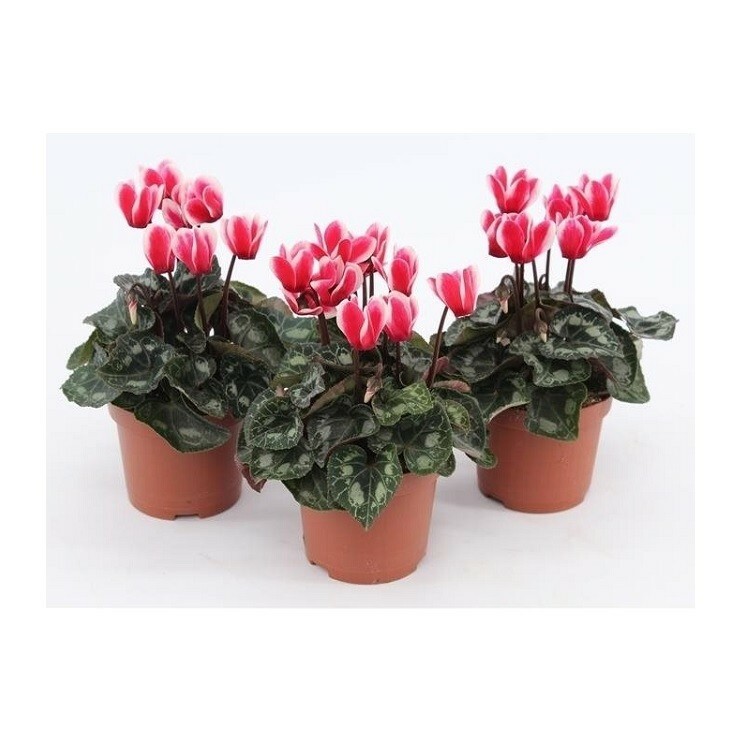 Making an attractive, easy to care for houseplant, it is perfect to brighten the home over the festive period or to give as a present, producing many blooms over several months through the winter. 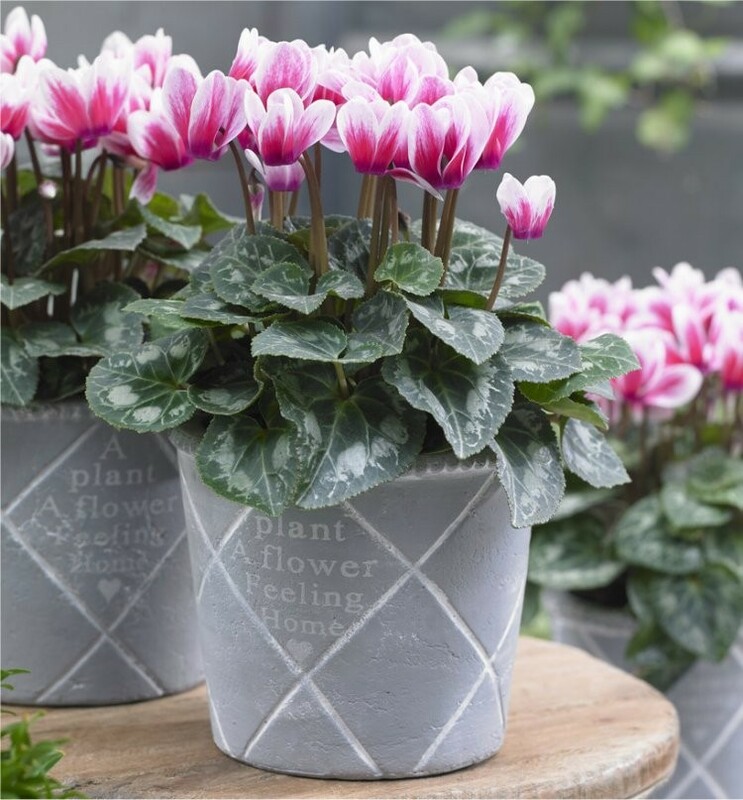 We will include a white display pot to set off the plant and blooms, so all you have to do is position and enjoy!